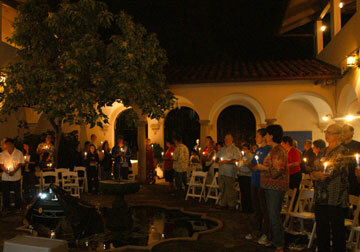 TCF-Honolulu Chapter Candle Lighting Memorial is held the second Sunday in December at La Pietra School. Parents, siblings, relatives and friends join together to participate in a candle lighting ceremony that is conducted across the globe at 7:00 in every time zone for 24 hours in honor of our children and loved ones gone too soon. TCF-Honolulu Chapter will hold their Twenty-third Annual Candle Lighting Memorial on Sunday December 8, 2019 at La Pietra at 6:30 p.m. Candles will be provided. We will have a special table/board to display your child's photo.